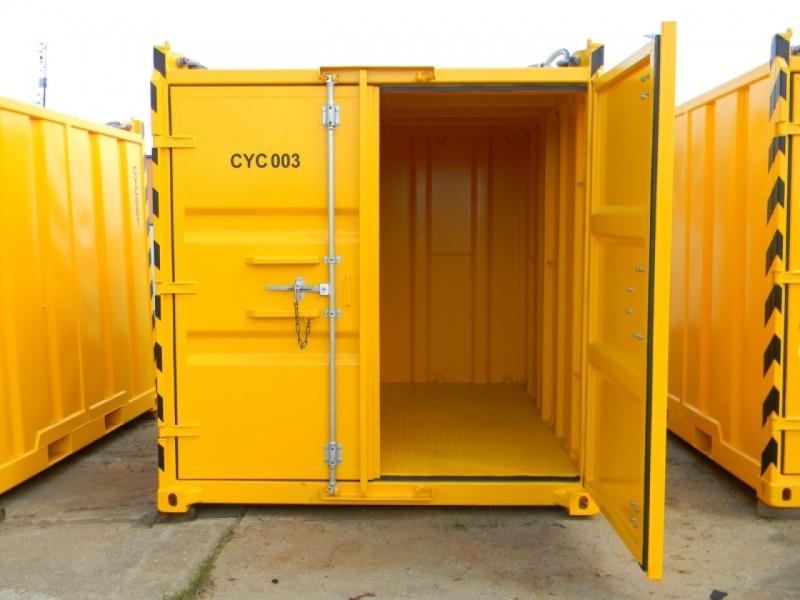 Our 10ft DNV Offshore Containers are expertly built to withstand the rigours presented to them at sea. If you have any other DNV requirements please contact Lion Containers (Offshore) Ltd today. 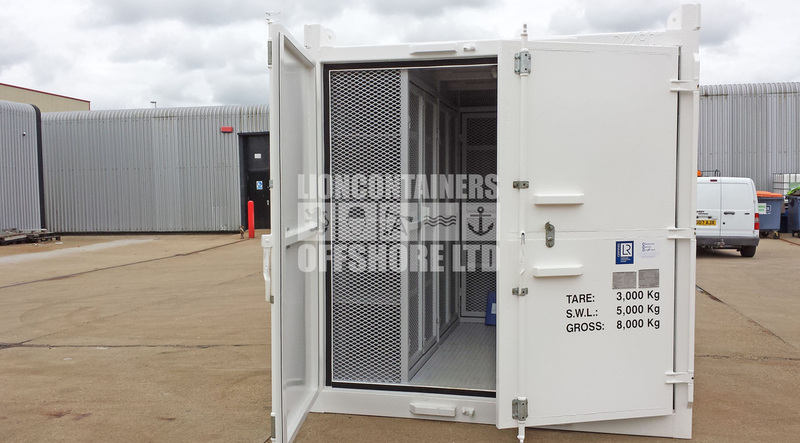 Lion Containers Ltd are able to supply 10ft DNV/ISO offshore containers to the latest standard of DNV 2.7-1 / EN12079BS to suit the global market. These robust units are available either as standard or custom built equipment. Our custom built units are manufactured within the UK at our facility in Aberdeen, please see our offshore modifications page for further details of what options are available. As standard these units are supplied with the relevant certified slings. The dimensions given below are for reference only, they represent the sizes, weights, colours and specifications of our most common off-shore containers. It is quite common for us to use a different manufacturer for standard equipment and therefore all dimensions, colours, weights and sizes can change quite considerably.